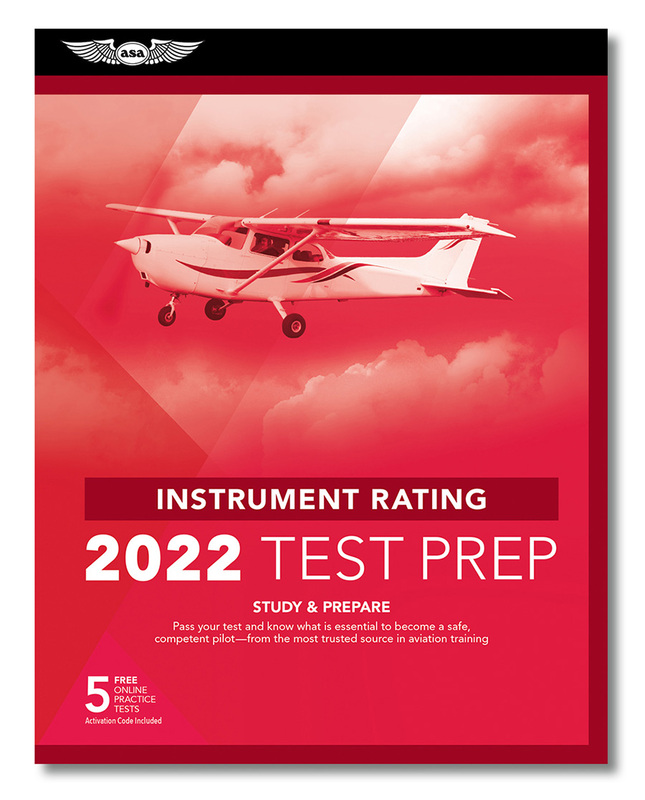 All Instrument Rating questions arranged by subject into chapters with Answers, Explanations (for correct and incorrect answers) and Reference Codes for Airplane, Rotorcraft and Add-On Ratings. Helpful test instructions, tips, excellent cross-references, and more included. Includes Instrument Rating, Instrument Flight Instructor (CFII), Instrument Ground Instructor (IGI), and Foreign Pilot Airplane and Helicopter tests. 344 pages. When you’re done studying, take 5 FREE practice tests and receive your test authorization (endorsement) with ASA’s online simulated testing program at no additional cost! Review: Gives you all the questions and answers with explanations and sources. Everything you could want in a study guide. Review: I found approximately 10 of the practice questions did not correspond with the answers. I also was unable to use the passing test grades for proof of ground school because my last name did not appear on the paper that was emailed to me. Review: Purchased as a refresher for returning to IFR flight. Works well. Most questions have answers and some explanation of why a particular answer is correct, but could use some more or better explanations; then again can't blame the authors for the FAA questions and "book answers." Review: Very well organized. The FAA charts are easy to read. Thorough explanations of comtent. Review: I must not have read the product description carefully enough, but to my surprise the test prep guide includes five Prepware.com practice tests. These practice tests are "tokens" for your registered account so they can be used on any of the certificates or ratings, should you have leftovers remaining. I prefer the ASA over Jeppesen because of the presentation and thoroughness of the sections. Another thing I overlooked when buying the book is that it comes with the actual supplement book with ledgends and figures that you would be provided during the written exam. Also, all questions are marked either "All, Airplane, or Rotorcraft", which makes it a lot more friendly for helicopter pilots. I used Jeppesen for the private certificate and there is a huge difference; it's a great value and I recommend it to everyone now. A: This book also includes the CFII test prep material. Q: Does this book include all chart and graphic information needed for the knowledge test? ie: is it 'stand alone'? A: Yes, it includes the full FAA Test Supplement - the same as those issued for the knowledge tests at computerized testing centers.